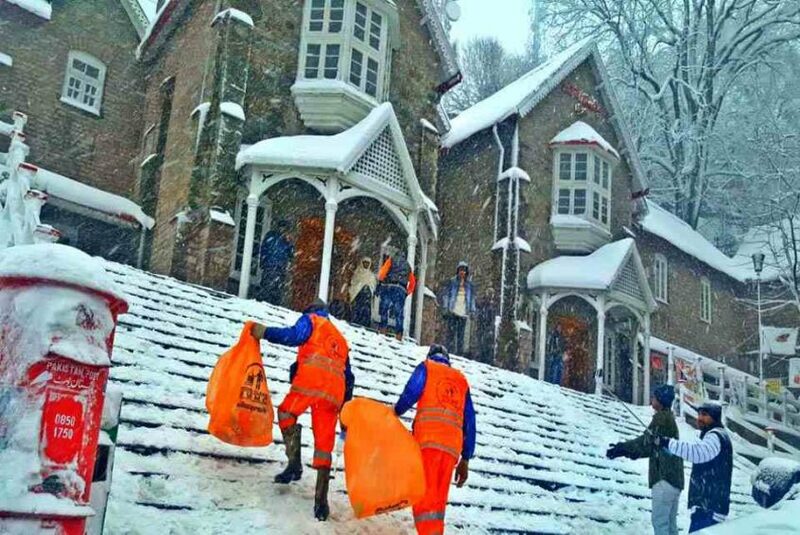 As soon as snowfall hits the roads of Murree, attracting tourists and visitors, Albayrak Waste Management begins special snow scrapping and cleanup operations at the hill station. The main purpose of the scrapping is to avoid any accidental situation on the roads which can be caused due to snow. Albayrak team has deployed workers and heavy machinery to remove snow and garbage from Mall Road, GPO, NADRA Office and TMA areas to facilitate the visitors and locals. Snow scraping operations are being carried out in Murree and its adjacent localities since last week under the supervision of senior staff. Albayrak representatives have requested the natives to contact sanitary supervisors if they come across any waste related complaint. They were also urged to cooperate with the sanitary staff in keeping the roads litter free. Albayrak is providing waste management services in Rawalpindi and Murree. Albayrak collects waste from all 63 union councils of Rawalpindi & Murree and transfers this waste to Losar dumpsite.